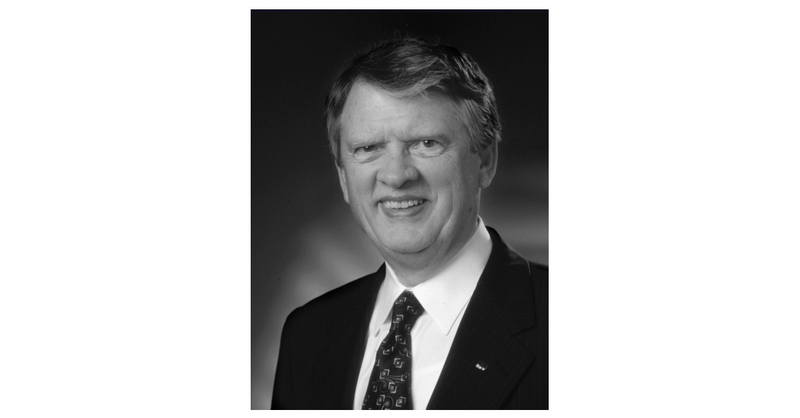 PEORIA, Ill.–(BUSINESS WIRE)–RLI Corp. (NYSE: RLI) – It is with great sorrow that RLI announces the passing of its founder, Gerald D. Stephens, on August 20, 2018 in Peoria. He was 86. Stephens founded RLI, a Peoria-based specialty insurance company, and served as company president for 39 years before retiring in 2011 as chairman of the board. Stephens grew up in Peoria, IL and graduated from Peoria High School in 1951. He received an undergraduate degree in Insurance from the University of Wisconsin–Madison in 1955. After graduation, he served in the U.S. Army in Korea as a first lieutenant in the infantry before joining H.O. Stephens & Son, Co., a family-owned retail insurance agency in Peoria. While working at his family’s insurance agency, Stephens identified a new business opportunity to insure contact lenses, and in 1961, founded Replacement Lens, Inc., to process the business. Over the span of 50 years, he guided the company through significant growth and change. It was under his visionary leadership that RLI evolved from a contact lens insurer and expanded into property, casualty and surety markets, specializing in covering difficult insurance risks typically avoided by larger multi-line insurers at the time. Today, RLI offers many diverse, specialty insurance and surety products and has nearly 40 branch office locations throughout the U.S. In 1969, Stephens took the company public. RLI was traded on NASDAQ before being listed on the New York Stock Exchange (NYSE) in 1987. He also led RLI to become the first company in Peoria, IL to offer an Employee Stock Ownership Plan (ESOP) in 1975. Stephens began sharing weekly essays with RLI employees in the 1990s. The messages focused on enhancing company success and helping employees live rich and fulfilled lives. In 2007, these “Message of the Week” essays were published in a book. In 1996, a few years after retiring its founding contact lens insurance product, the company merged its RLI Vision Product Division with Hester Enterprises, maker of Maui Jim sunglasses. Through that partnership, Stephens was instrumental in bringing Maui Jim’s administrative headquarters to Peoria, IL and forging RLI’s ownership stake in the sunglass company. Outside of his work at RLI, Stephens dedicated his time and talent to many industry and community organizations. He was chairman of the American Institutes Board and served on the board of directors for The CPCU Society; International Insurance Society; American Institute for CPCU; Property Casualty Insurers Association of America and its predecessor the National Association of Independent Insurers. He served as a director on the Harry J. Loman Foundation board; the Brady Advisory Board at The Brady Urological Institute and the University of Wisconsin–Madison School of Business Advisory Committee. He also served on the board of directors for many Peoria-based organizations, including Maui Jim; OSF Saint Francis Medical Center; Bradley University; Jefferson Bank and Trust Company; Bank One-Peoria; Fayette Companies; Country Club of Peoria and the Economic Development Council of Peoria. Stephens received numerous recognitions throughout his lifetime, including Distinguished Graduate Awards from Peoria High School, the named Gerald D. Stephens CPCU Chair in Risk Management and Insurance at the University of Wisconsin-Madison School of Business and the Gerald D. Stephens Chair at Bradley University, the latter of which was endowed by RLI. Stephens and his wife Helen generously supported many organizations and causes. Together, they established the Gerald D. & Helen M. Stephens Foundation and created the Gerald and Helen Stephens Professorship in Wildlife endowment at the University of Wisconsin–Stevens Point in memory of their son, Doug, who was a wildlife management student at the university. In 2008, their generosity led OSF Children’s Hospital of Illinois to rename and dedicate its NICU as The Gerald D. and Helen M. Stephens Neonatal Intensive Care Unit. Most recently in 2018, they established The Gerald D. and Helen M. Stephens Directorship at Johns Hopkins University School of Medicine and The Gerald D. and Helen M. Stephens Center for Stone Disease at the Brady Urological Institute, also at Johns Hopkins University School of Medicine. RLI Corp. (NYSE: RLI) is a specialty insurer serving diverse, niche property, casualty and surety markets. The company provides deep underwriting expertise and superior service to commercial and personal lines customers nationwide. RLI’s products are offered through its insurance subsidiaries RLI Insurance Company, Mt. Hawley Insurance Company and Contractors Bonding and Insurance Company. All of RLI’s subsidiaries are rated A+ “Superior” by A.M. Best Company. RLI has paid and increased regular dividends for 43 consecutive years and delivered underwriting profits for 22 consecutive years. To learn more about RLI, visit www.rlicorp.com.